1. In a bowl, combine flour, rice flour, baking powder and scrapped vanilla seeds. Add water gradually, mixing until you get a smooth batter, thick but liquid. Let rest for 30 minutes. 2. Heat your deep fryer to 340°F (170°C), or a large saucepan with vegetal oil. 3. Peel, core and cut apples into slices, roughly 1/2-inch thick. An apple corer will be useful if you want to make neat cuts. 4. Dip a slice of apple in the dough. Drop in the deep fryer. Cook for a few minutes until the rings are golden brown. 5. 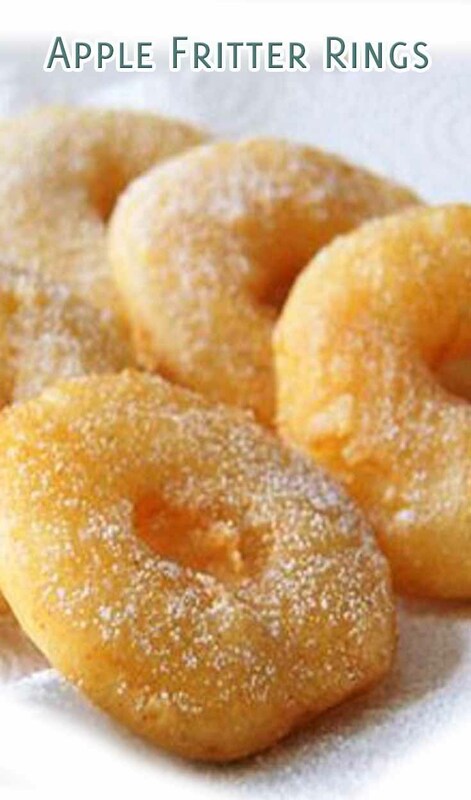 Sprinkle with icing sugar and enjoy.